July is still winter here in Botswana, but it’s a winter unlike any you may have experienced elsewhere. Mornings are deliciously crisp and fresh – the sensory equivalent of biting into a green apple. Cloudless, almost infinite blue skies reign. Speaking of which, you’re unlikely to feel a drop for weeks on end. The combination of the incoming Okavango inundation reducing the area of land available, and rain-fed pans elsewhere drying up, means that the Delta wildlife is noticeably condensed during the southern African winter. 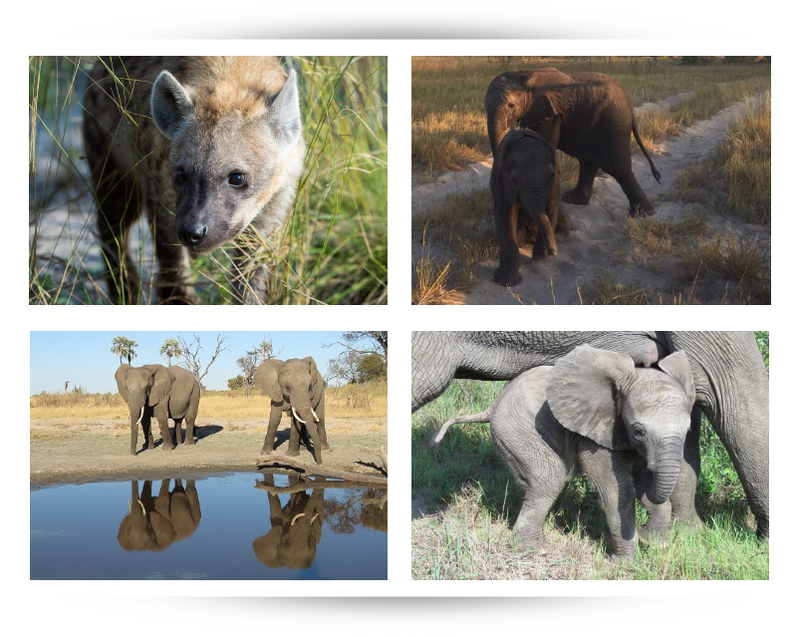 In other words, the game-viewing can be spectacular, and, as long as you don’t mind a slightly chilly start to the day and cooler evenings (which are almost entirely insect-free), July is one of the very best months to visit Botswana on safari. This July has been no exception: as is the norm, temperatures began to rise as the month progressed (and at the same time, the water began to noticeably recede). Of course, people living in Maun are only now starting to see the inundation arrive, as the water moves slowly along the channels and rivers and eventually heads into the Kalahari. A key event in the life of Abu Camp each year is the official declaration that winter is over. We’re a few weeks away from that yet, and of course it’s not a fixed date each year, but when the day comes, we’ll be removing the hot-water bottles from the gameviewers and replacing the roofs. Cue a mad scramble to locate the special retaining pins which secure the metal frames and canvas canopies, which are traditionally kept “in a safe place” throughout the cooler weather when the sun is less intense. 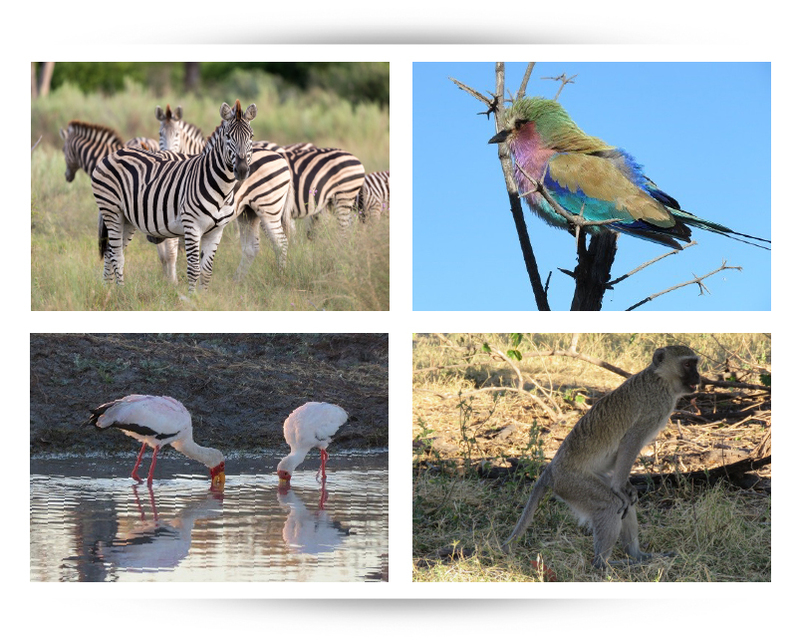 The seventh month of 2018 did not disappoint and our guests enjoyed an incredible few weeks of game-viewing. This included sightings of a lion pride of ten tracking the movements of a large herd of buffalo (which represented both a meal ticket and a risky venture, all in one), as well as two lionesses taking down an adult zebra. They were watched not only by the zebra’s distraught herd members, but also by three sub-adult lion who were – if not actually taking notes – certainly learning the finer points of taming a “tiger horse”. Continuing the big cat theme, July was also a great month for leopard sightings. Our guides proudly noted that not one Abu guest departed without at least one sighting of these famously cagey spotted cats. Meanwhile, the hyaena den by the helicopter pad continued to be a rewarding place in which to hover for a few moments, with the pups growing not only in stature, but in confidence and guile, too. 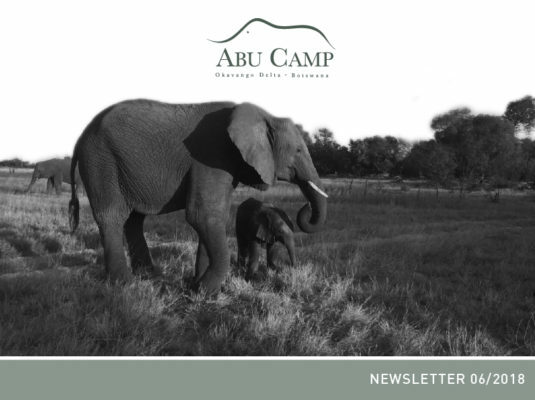 July was also an absorbing month for the elephant members of the Abu Herd. The two youngsters, Motlotlo and Shamiso, continued to effortlessly steal the show and have become inseparable. With Motlotlo being a couple of months older, he is noticeably the larger of the two, and tends to take the lead in all their (mis)adventures. Shamiso, however, has definitely come out of his shell, and this young elephant – whose arrival was somewhat unexpected – continues to surprise and delight the elephant management team (and indeed everyone who is lucky enough to spend time with him and his playmate) on an almost daily basis. The annual inundation may be receding, but in every other way, life at Abu Camp is on the up and up. Having two new members of the Abu Herd arrive simultaneously has provided a wonderful opportunity to study the development of elephant calf social behaviour and intelligence. As well as lowering the average age of the Abu Herd, they seem to have brought out the calf (or child) in everyone, and we’re all enjoying the playful spirit that currently pervades the camp. Todd, Tshidi, Kele and Kabo (managers) and BT, Taps and Joe (guides).